The year's biggest mobile phone trade show, Mobile World Congress (MWC), is up and running in Barcelona, and so new gadgets dominate the tech news today. Here are the key announcements you need to know about so far, as written up by our friends at TechRadar. After months of rumour and speculation, Samsung has finally unveiled its 2018 flagship phones at MWC, the Galaxy S9 and Galaxy S9 Plus. The handsets come with upgraded internals, better cameras, and even smaller bezels than their predecessors, although they look pretty similar to the 2017 models at first glance. Thankfully, the fingerprint sensors have been repositioned to a more sensible location on the back of the phones too. Did we mention there was a mobile phone show on at the moment? Nokia announced a total of five new phones yesterday: the flagship Nokia 8 Sirocco, the Nokia 7 Plus, the Nokia 6, the Nokia 1 (aimed at developing markets), and the rebooted Nokia 8110, another classic handset from the company's past upgraded for the modern era. Those first three devices come with a clean, up-to-date version of Android already on board as well. 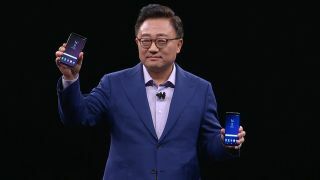 Just one more smartphone launch, we promise – Sony is at MWC too, and has been showing off the brand new Xperia XZ2 and Xperia XZ2 Compact. The phones feature reduced bezels, stretched screens, and improved cameras to try and tempt you away from your usual Android phone supplier. The company also had time to show off an upgraded version of its in-ear digital assistant, the Xperia Ear Duo, though it looks rather bulky. It's not all smartphones today, because Canon has some new digital cameras to show off as well, namely the EOS Rebel T7/EOS 2000D, the EOS 4000D, and the EOS M5. These are entry-level and mid-range models, so while the professionals might not take much notice of them, they could be good starting points if you're looking to take your photography a little more seriously – follow the link below for full details on the specs of these devices. Finally in today's cascade of new gadgetry, Lenovo is proving that MWC isn't just about smartphones, because it's used the event to show off a few new laptops ready for the coming year. The 13.3-inch and 15.6-inch Lenovo Yoga 730s, plus the 14-inch Lenovo Yoga 530, are designed for Windows fans who want a good balance between specs and price – they're powerful enough to cope with most tasks but won't cost you your life savings.